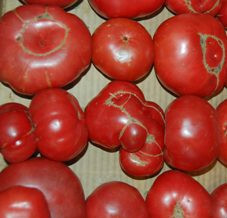 Brandywine Tomatoes: This is the red version of the traditional Pink Brandywine which is not as mild, but more acidic and has a delicious flavor. 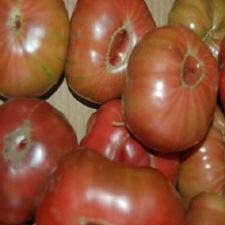 Cherokee Tomatoes: Grown by Native Americans in the south, this purple variety of tomatoes is absolutely delicious. 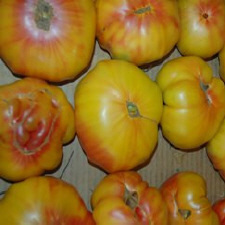 Pineapple Pie Tomatoes: This is an old fashioned heirloom variety with red/orange stripes and yellow fruit. It is very sweet.